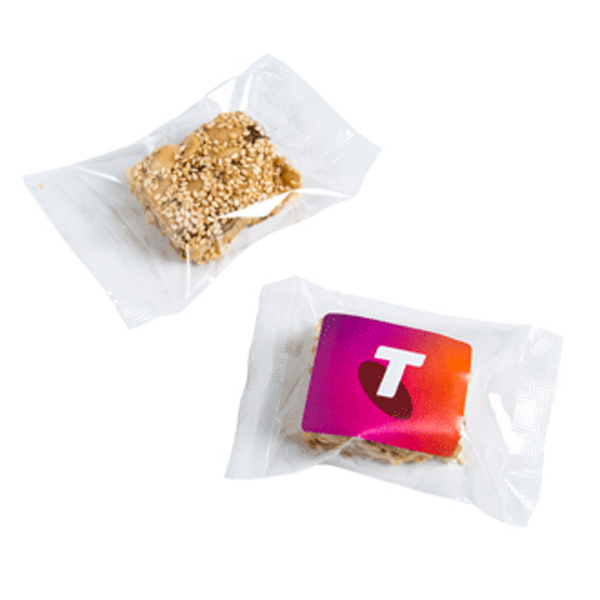 The personalised Nut Bar is so cool your team will go nuts over it! Promotional products don’t necessarily have to be complicated. A simple confectionery gift can do huge wonders for your brand, and if you’re searching for that product, we’re happy to tell you’ll be interested with our special offer. We’re talking about our promotional Nut Bar. The branded Nut Bar is a very simple confectionery gift, yet with it’s delicious taste, can really make a good impression. And with a customisable cello bag that you can personalise with your own design, the branded Nut Bar easily becomes a great advertising tool to promote your business. The decorated Nut Bar is approximately 55mm in width, 40mm in height, 20mm in thickness, and weights 25 to 30 grams. The cello bag has an allotted space for your full colour sticker dedicated to your advertising. If you want to promote your brand, we suggest that you have your logo or trademarks printed. Or if you wish to gift the Nut Bar to certain VIPs, printing a personal message would be a great idea as well. Just make sure to put into consideration the sticker sizes before you send us your logo. Sizing options are 50mm (w) x 30mm (h) for rectangle, 33mm (w) x 33mm (h) for square, 38mm or 45mm (diameter) or for circle, and 60mm x 40mm for oval. While you’re browsing our website, you might also be interested in checking out our other marvelous offers. The promotional Mints Soda Bottle is always a sure hit for those who love mints. 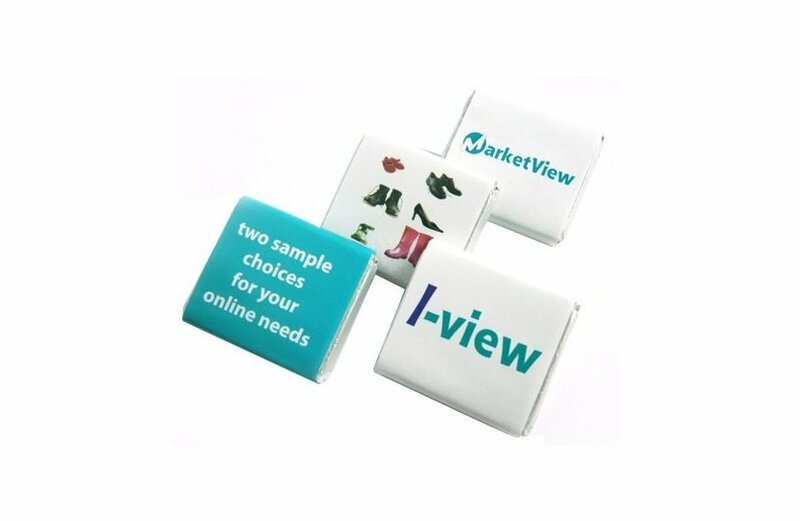 And for those who like their mints in a pocket-sized packaging, the customised Slider Mint Tin is a good choice. We also suggest you have a look at the custom embroidered Promo Cotton Twill Bucket Hat if you’re looking for something to give away for the summer. Call us at 1300 008 300, or send us a message through chat if ever you have questions.